The Golden Ears Gogos are hosting this event in the lovely garden of a private home on the banks of the South Alouette River. Relax in a beautiful garden with friends, new and old. Enjoy fabulous refreshments, and shop for plants, crafts, and summer reading in the market areas while supporting the Grandmothers Campaign. Items for sale include plants, Gogo Love Bears, necklaces, book bracelets, note cards and Toonie ($2) books. Tickets $25. Contact Heather Crum, 604-463-4408, h.crum@telus.net or Heather Stewart, 604-467-2525, histewart@telus.net. Funds raised by the Golden Ears Gogos at this event will go to the Grandmothers Campaign, Stephen Lewis Foundation. 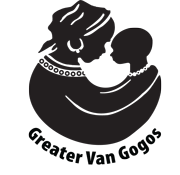 The Campaign assists African grandmothers with children’s school fees and uniforms, housing, grief and trauma counseling, home-based care, micro-credit loans and HIV/AIDS protection and training.